Home Electronics & Gear Gadgets Amp it Up! A quality marine stereo installation can bring your boating experience to a whole new level. 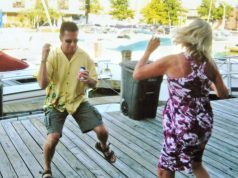 When it comes to boating as recreation, music on the water is a crucial component of the lifestyle. 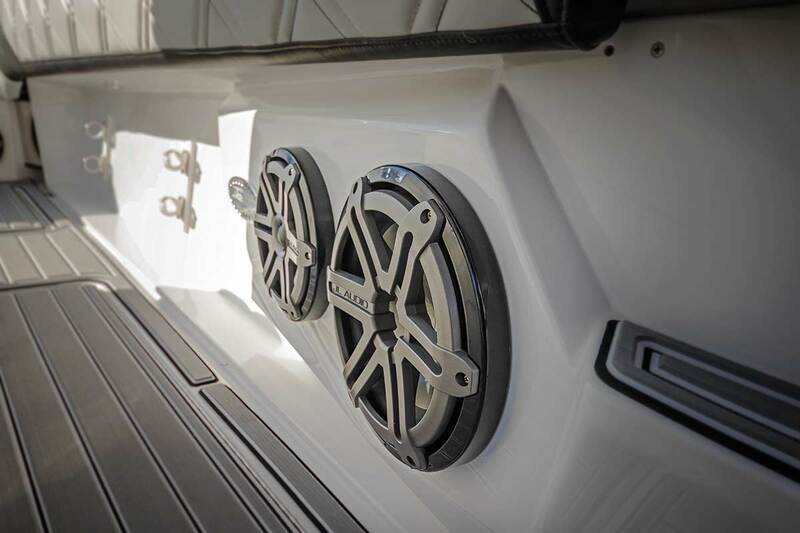 The quality and product offerings of marine sound systems have greatly improved in recent decades, and with so many options it can be hard to pin down what qualities a great marine audio system should have. Just like audio in cars, it hasn’t taken long for cruisers to become exceptionally particular about sound quality, value and durability. 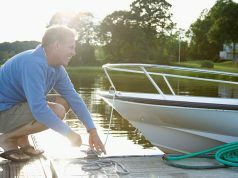 Luckily, today’s marine products are compact, aesthetically pleasing, efficient, and offer numerous configurations for a high-powered boat installation. 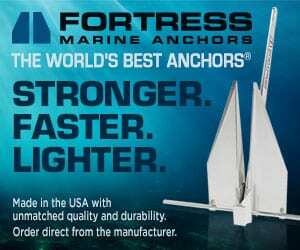 What are some of the qualities you should look for in marine audio products? Each piece of equipment needs to be rugged enough to withstand the sun, salt and spray that will corrode normal electrical components. Install a system with subpar construction, and the system won’t last a year due to the harsh outdoor environment. Each part of the audio system will have a different classification of environmental readiness. Most speaker cones and receiver faceplates should be UV-resistant, while circuit boards should be corrosion resistant. When it comes to perfect placement, boats differ from other home and car audio systems in that there is no single installation option that is consistently best. For example, a smaller bay boat might find that its tinier cockpit comes with its own challenges for powerful sound, while a larger center console can struggle to distribute sound evenly throughout the boat. Furthermore, a system that works perfectly on a sailboat might not be the best selection for a motoryacht. 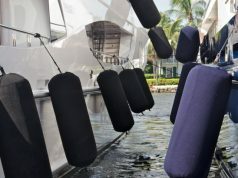 Different equipment options have alternating space and power requirements, so figuring out the limitations of your own vessel can help determine what kind of system you should install. If you’re upgrading a system, consider using the same mounting and wiring locations of the first system. However, if you’re starting a new installation from scratch, some paneling may need to be cut and new wiring run to ensure each component receives enough power. Marine receivers typically connect to a standard 12-volt marine battery. Each marine audio system comes with a few basic components. 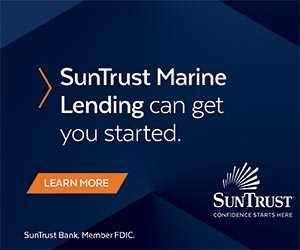 First, you’ll need to acquire a marine receiver. It should have a water-resistant faceplate, although a weatherproof cover can be an invaluable add-on accessory. Next, consider what kind of speakers work for your setup, both aesthetically and technically. Speakers come in many sizes, and while a 8.8-inch diameter system will radiate powerful audio quality, it might be more prudent to pursue the 6.5-inch diameter model. Marine audio equipment manufacturers such as JL Audio, for example, offer a variety of equipment geared toward different performance levels. The M-Series speakers offer exceptional sound quality and can be paired with a marine subwoofer or even stand alone. If you value the feel of good bass, consider installing a subwoofer. This component of any good marine audio system is becoming crucial since a running powerboat will create a large quantity of low-frequency sound. It’s difficult for a standard small speaker installation to overcome outside noise interference. A subwoofer alleviates the stress on the system by keeping the sound of the main speakers clean and clear. Due to the prevalence of challenging mounting options in boats, an enclosed subwoofer is a good option to ensure optimal sound quality. Not only will a subwoofer add a complexity to your sound system, it can also add the right design touch. Other components to consider are speaker wires and cables. Each part should be tinned because bare copper will easily corrode when exposed to saltwater. Furthermore, consider adding satellite radio to your audio installation. This component is quickly becoming a must-have for any high-quality system. Satellite reception extends up to 200 miles off shore, making satellite radio a great option for offshore cruising. Since many marine receivers are already built satellite-ready, it’s easy to mount an external tuner out of site. However, make sure that your system includes a marine-rated satellite radio antenna to provide protection from the elements. Some final considerations you should make while looking for a high-quality marine audio installation include looking for the components with the best specs. Better specifications equate to better sound quality. When it comes to marine receivers, be on the lookout for a high CD signal-to-noise ratio and a large amount of RMS power. Speaker installations should fit nicely into cabin panels and be UV-resistant to ensure continued performance. Furthermore, since each system must project sound into an open environment, you’ll need plenty of power to get the cleanest sound. Finally, if you enjoy particularly loud music consider adding an external amp to the system, which will help to drown out the typical background noises that occur while on the water.